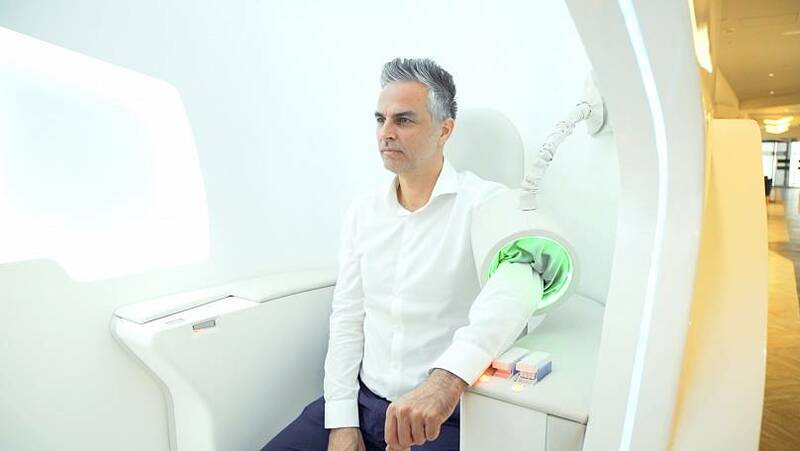 Starting this month, some UAE hospitals, shopping malls, gyms and even supermarkets will contain AI medical pods that can help diagnose health problems in less than ten minutes. 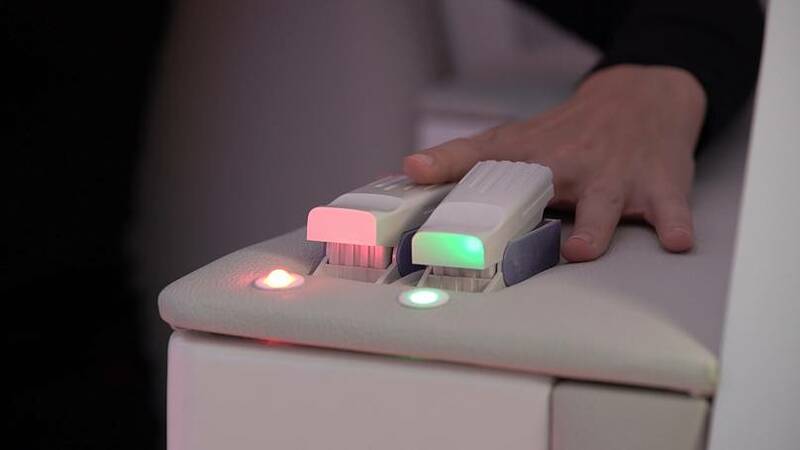 Working as full body scanners, Bodyo’s Artificial Intelligence machines monitor a long list of vitals, including blood sugar, height, weight and body mass. The concept was dreamed up by French sports scientist Patrice Coutard who, as head of performance and fitness for the UAE’s national football team, was keen to monitor and improve the stamina and overall health of his players. The pods are now set to be key devices for early diagnosis and prevention, especially when the information collected is shared with medical facilities. Bodyo's CEO, Tariq Hussain, explains that once the user has their vitals assessed, the results are stored in a data cloud which can then be easily shared with healthcare professionals. “The data can be sent - with the consent of the user - to a hospital or clinic where they can monitor this and then bring them in before this becomes a more serious condition,” explains Hussain. Diabetes and obesity are a significant problem in the UAE. By 2020, an estimated 32 percent of the country’s adult population will have diabetes or pre-diabetes, according to Zawya, whilst the World Health Organization estimates that up to 73 percent of men and women in the Emirates are overweight or obese. This places the country in the top five worldwide in the obesity stakes. The Bodyo pods allow personalised health, wellness and nutritional programmes to be created for its users, as a way of combatting excess weight and controlling sugar levels. The idea is not only to inform but also engage its users in taking care of their physical state. Companies that choose to place the pods in their offices can encourage employees to use the machines by means of incentives, and discounts on select health-related products or services, when certain goals are met. Lease prices of the machine average US$1,450 a month, which includes installation, maintenance and upgrades. “Rates that we come in at are attractive, not just to larger corporations, but they enable smaller corporations like gyms to get involved as well,” says Hussain. In terms of the worldwide problem of data privacy, the company guarantees that user information is only shared with consent, and that the team is constantly on the lookout to enhance security levels. With the long-awaited launch in the UAE this month, Bodyo also has ambitious expansion plans for Europe, the United States and Asia by 2023. Dubai-resident Debbie from the UK posted these pics of her 12-week fitness and health monitoring programme – put together with the use of a portable Bodyo device – with the caption “it’s not all about what the weighing scales tell us”.